Home > Uncategorized > BLACK FRIDAY SALE! 21 Nov BLACK FRIDAY SALE! 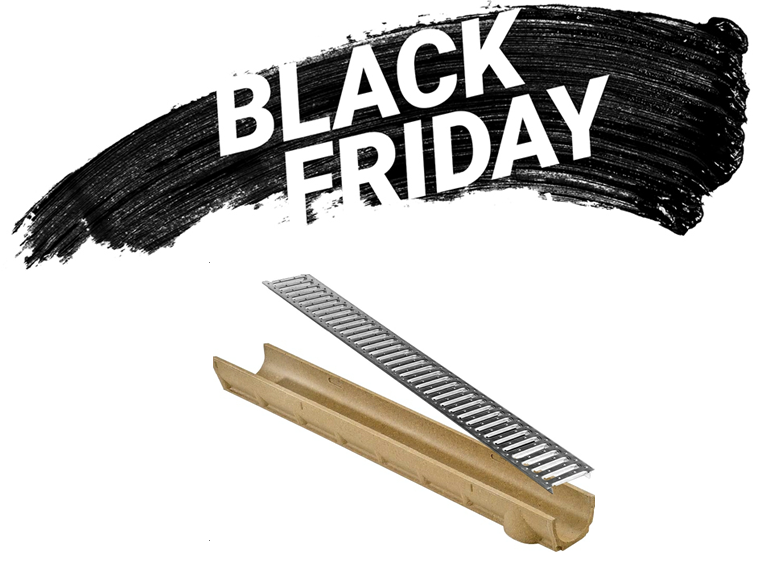 BLACK FRIDAY SALE – Domestic Use Channel Drain! Mealine-S channel drain £6.80 PER METRE – CARRIAGE PAID to ANYWHERE mainland UK! The offer applies to pallet quantities only – 117no. per pallet. We’re offering this bargain rate until the end of January 2019 while stocks last. Enquiries to: Sales@castings-services.co.uk OR call 0161 745 9095. Mealine-S is designed for use in domestic applications such as driveways, patios and store fronts. It has a shallow profile which makes it quick and easy to install with a minimal amount of ground preparation.